A brilliant way to start a collection or upgrade your cookware, this impressive set from Russell Hobbs contains three saucepans and two frying pans for maximum cooking convenience. 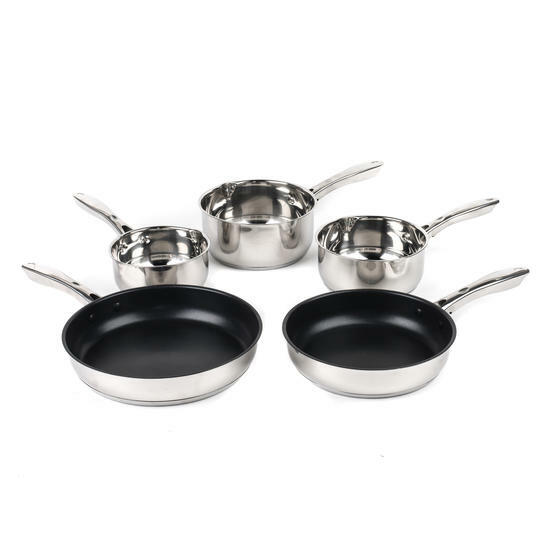 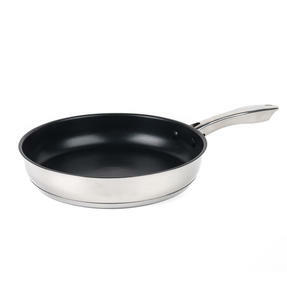 The pans are made from durable stainless steel with a quality polished finish. 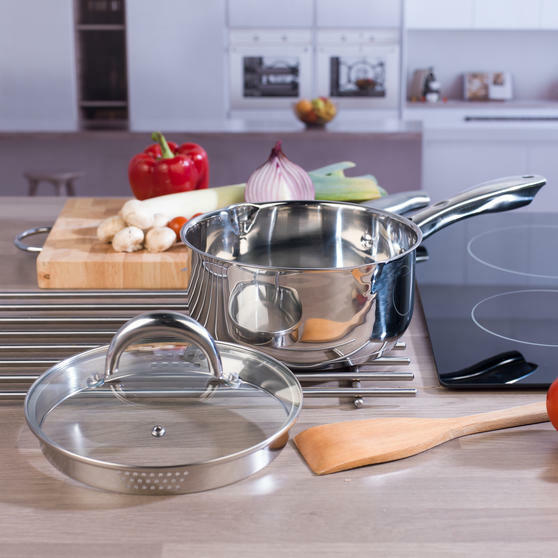 The saucepans have tempered glass lids and easy pour features, whereas the frying pans include dual layered non-stick coatings, so food is easily released from the surface. 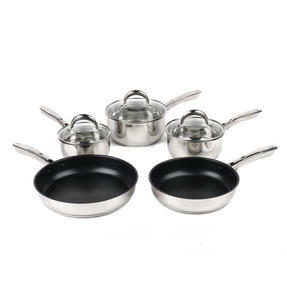 For simple cleaning after use, these pans are dishwasher suitable. 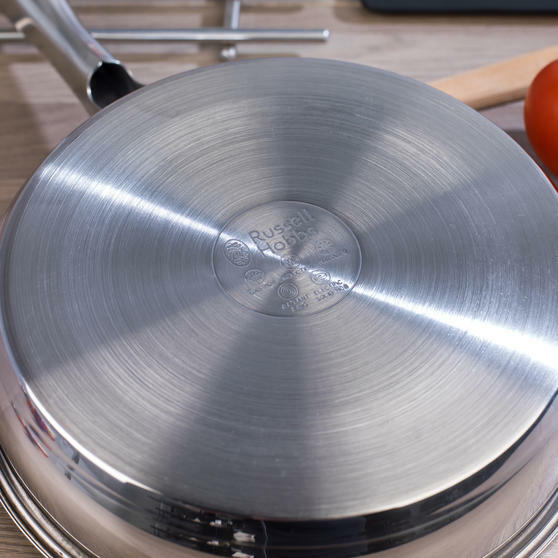 Made from stainless steel with a mirror finish, this wonderful pan set from Russell Hobbs is sure to enhance your cooking experience. 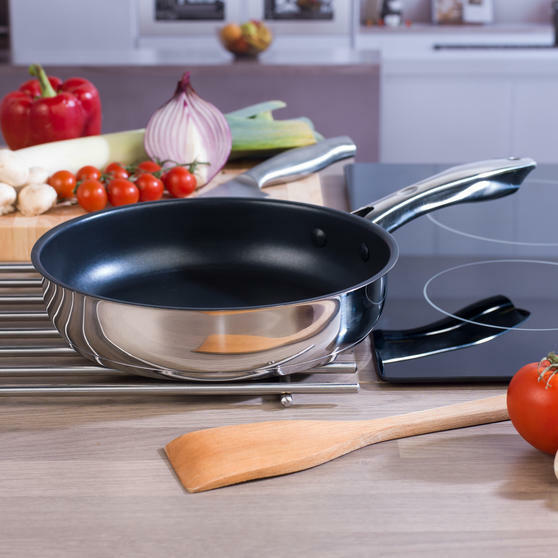 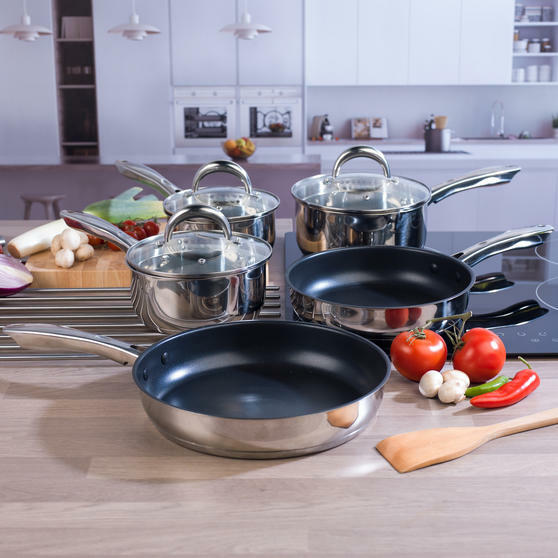 From the Optimum Collection, this great set includes 16, 18 and 20 cm saucepans with lids, plus a 24 and 28 cm non-stick frying pans. 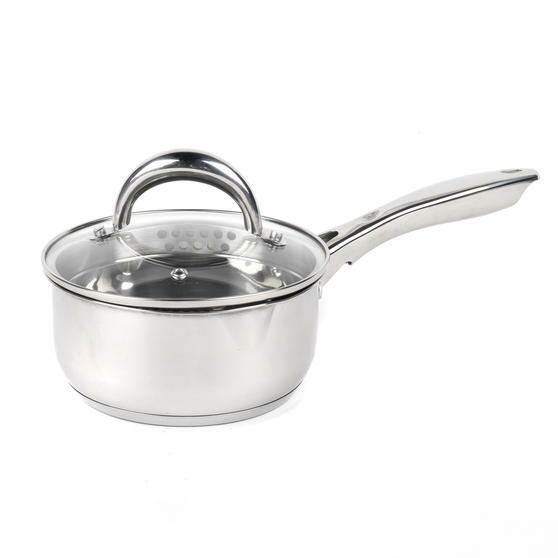 The saucepans include pouring lips, making it easy to serve sauces or soup and straining excess water from your ingredients is simple. 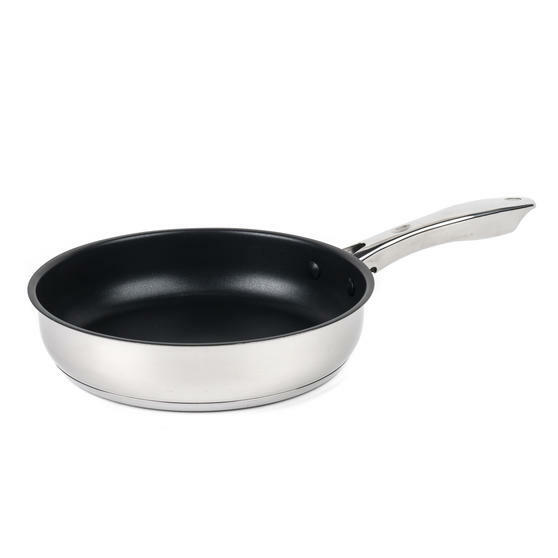 Featuring a dual layered non-stick coating, the generous frying pan is crafted with high edges and a secure handle for ease of use. Suitable for use on all hob types including induction, these pans are also safe to be washed in the dishwasher for effortless cleaning.